Discussion in 'UFC Discussion' started by michi972, Apr 15, 2019 at 7:32 AM. MMAcolyte, Chok Sok Te and ImNotSurpisedDonks! like this. So Gregor lost his fight with Kevin Lee? They need to give him something better than this to make up for taking that from him, unless he pulled out with an injury? Since both were "scheduled" to fight Lee at the same time, thats actually a good fight to make. michi972 and A.S. Deep like this. Gregor pulled out because of an injury. michi972 and MMACroatia like this. Ahh, in that case, no need to get the Kevin Lee level guy and this is fine. Great grappling matchup. I would gigabit Gregor. Seems to be a little more athletic and explosive. makhachev didnt lose to kevin lee. 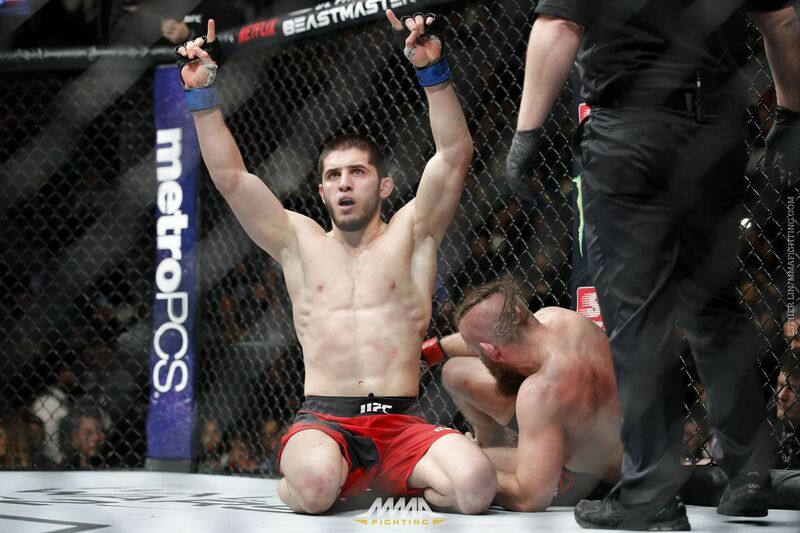 makhachev is a tank of a lightweight and has faced very physical opposition and still dominated. the guys that makhachev out wrestled > the guys gregor out wrestled. chris wade, nik lentz etc. Not sure what you are saying, I never said he did? That’s all fine and dandy but Gregor is still the better wrestler. I'd like to see this fight. gregor is the more technical wrestler. anyone who's wrestled would vouch. Let them fight down the line. Right now they should be feeding them with cans like Nate Diaz or James Vick. Damn.. put one of them against Barboza. Sure he is. But not a better MMA fighter.